Friday, yay!! We got through one more week. I had very nice week, i posted all week and did nailarts everyday. Festive season is here and i am sure you all are started shopping for Christmas. I have plans forin-store shopping tomorrow. 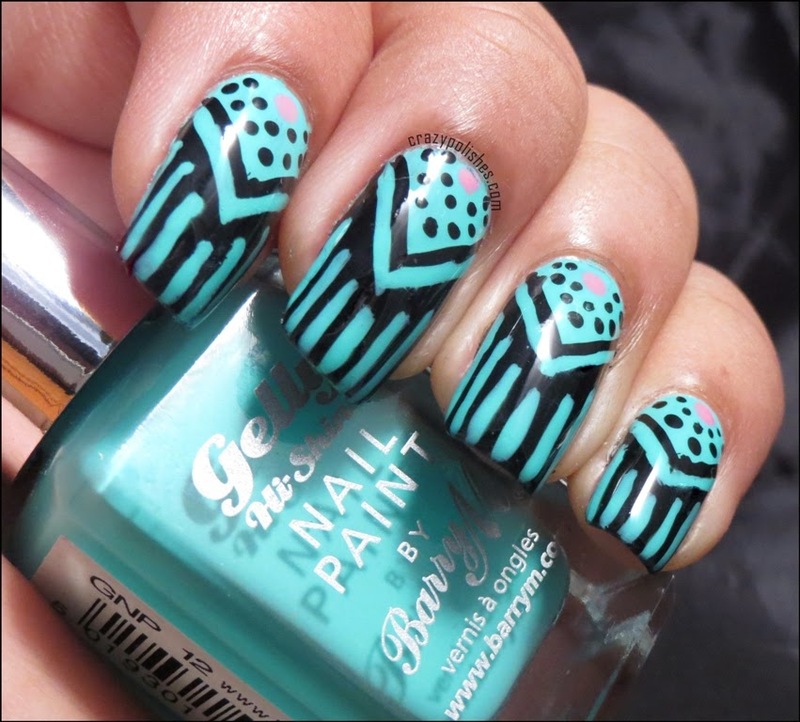 Today's challenge is a manicure with three patterns. Earlier, i thought to do a stamping manicure with three patterns but none of the pattern images were getting along. So, i decided to do a freehand chevron manicure with dots and stripes. I used Barry M Greenberry for this manicure alongwith acrylic black and barry m dragon fruit.